Do your kids constantly ask to go outside, then complain they're bored 5 minutes later? Mine certainly do. I came up with a few ideas to keep them busy! *Bean Bag Toss. 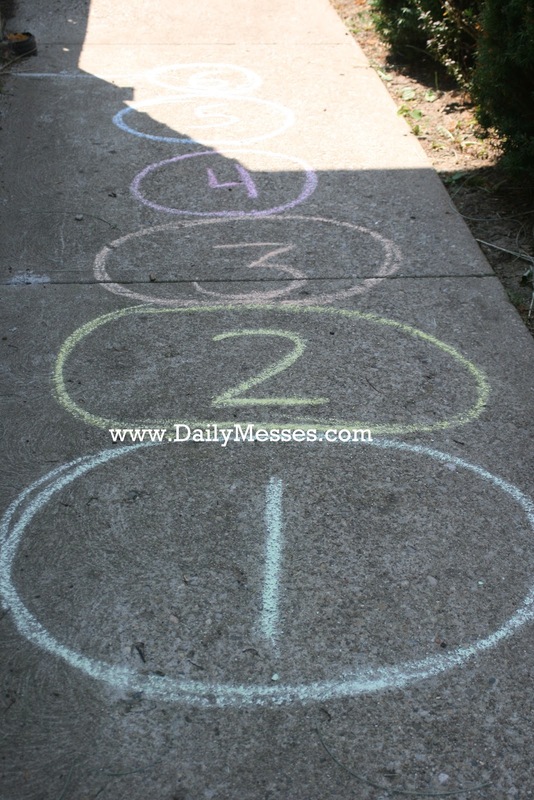 Draw a bulls-eye on the sidewalk and let the kids throw a beanbag to see who an get the closest to the center. *Bean Bag Toss, option 2. Draw a line of circles with varying sizes and point values. See who can score the most points! *Draw a street for their cars. Draw street lines and have trees/houses/flowers/people on either side. 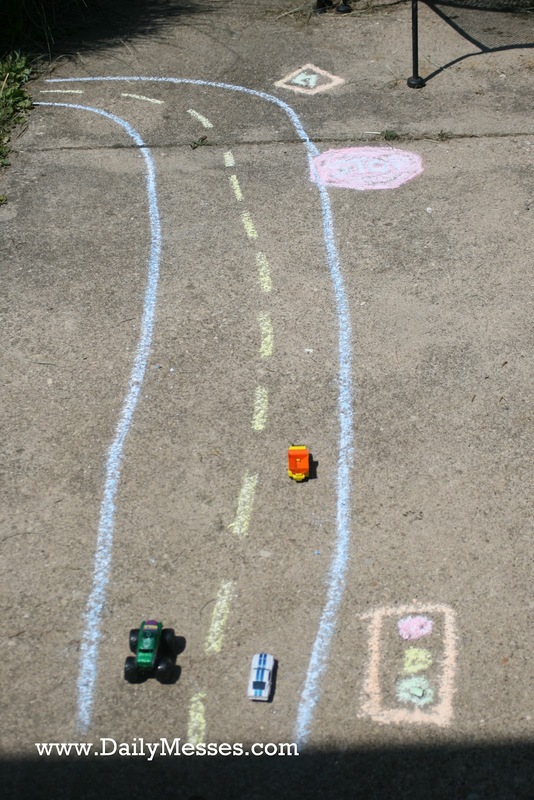 For older kids, let them draw their own streets! *Make your own and let them play with it! Check out my Make Your Own Chalk post for directions. *Fill with water and have a water balloon toss or tag game. *Blow up and let them bounce it around and play. *Turn on the sprinkler, it's a classic. ^Play Sprinkler Freeze. Have music playing and let the kids run through sprinklers. When the music stops, they have to freeze. 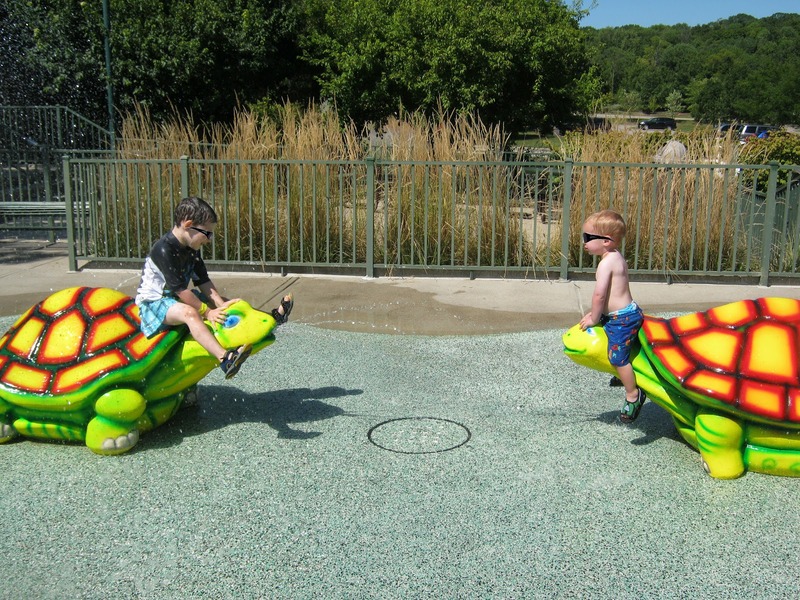 *Fill squirt bottles and let them chase each other. 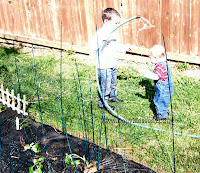 *Let them help water the garden. "Maybe if I water him, he'll grow faster!" *Check out your local parks. Some of them have water play areas! *My kids love their sand table. 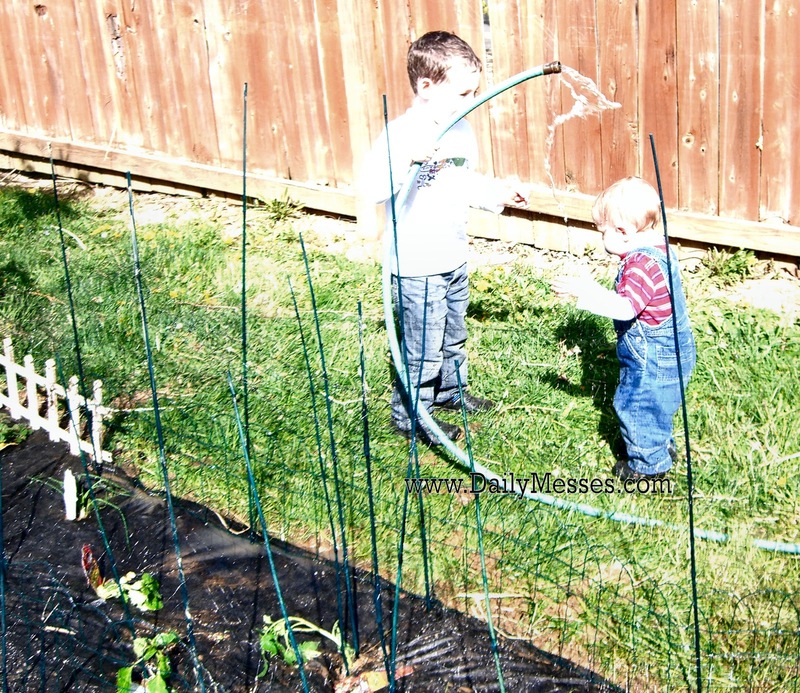 For something different, bury dinosaurs and have an Archaeology Dig (Check out the My Kid Wants To Be An Archaeologist post for more ideas). *Dollar stores or craft stores usually have a large bottle for $3 or under. Mix together and enjoy! (Store in a resealable container.) 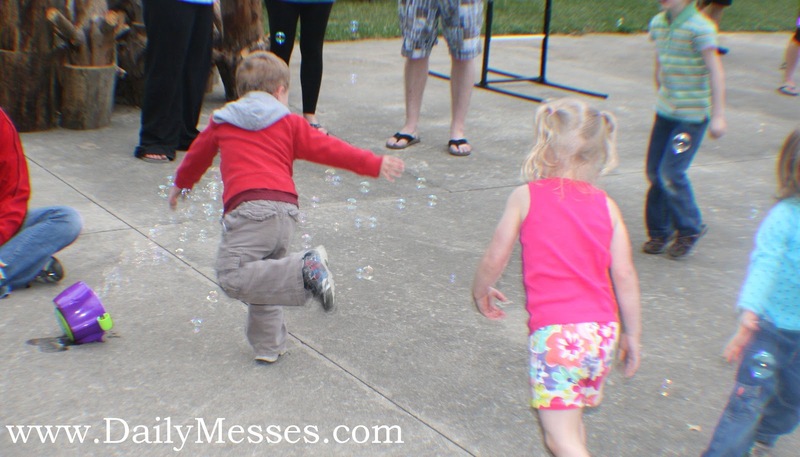 Add a drop of food coloring to create colored bubbles! Love the summer fun ideas. We are looking for ways to keep our little pumpkin busy betweens camps. Thanks for the follow. Hope to see you again soon. Great ideas! We LOVE our chalk time. 4 year old asked me one day if we could make a hopscotch to 100. I moved the cars off the drive-way and we did it, then they hopped it all afternoon. We also like to make caterpillar, snake and giraffe hop scotch games to jump on. Thanks for stopping by! I haven't tried hopscotch yet; I'll have to give it a try with the boys!